Better portfolios, beautiful proposals, and firm-wide risk analytics in one platform. For Leading Edge Advisory Firms Leading advisory firms use the HiddenLevers Advisor Platform to gauge client risk tolerance, stress test portfolios, and build recommendations that limit risk while meeting future goals. With custom proposal generation, advisors can generate branded proposals to present risk tolerance, fee attribution, stress tests, style and sector breakdowns, and much more. 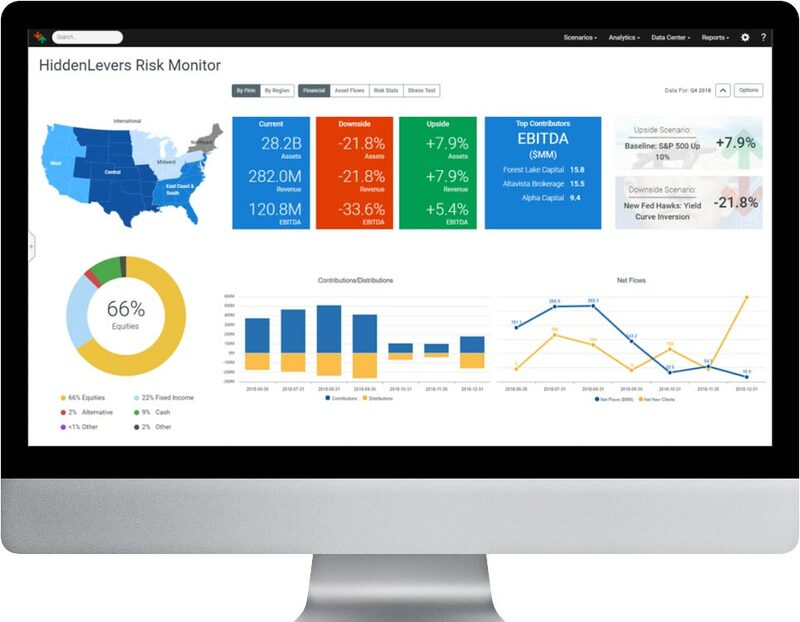 For Executives HiddenLevers Risk Monitor provides true business intelligence for Financial Institutions - monitor risk to assets (AUM), clients, revenue, and profitability from the entire firm all the way down to the individual advisor's book of business. With customizable monitoring and visualization of risk, asset flows, asset drift, and firm-specific KPIs, executives can manage growth and complexity in real time. 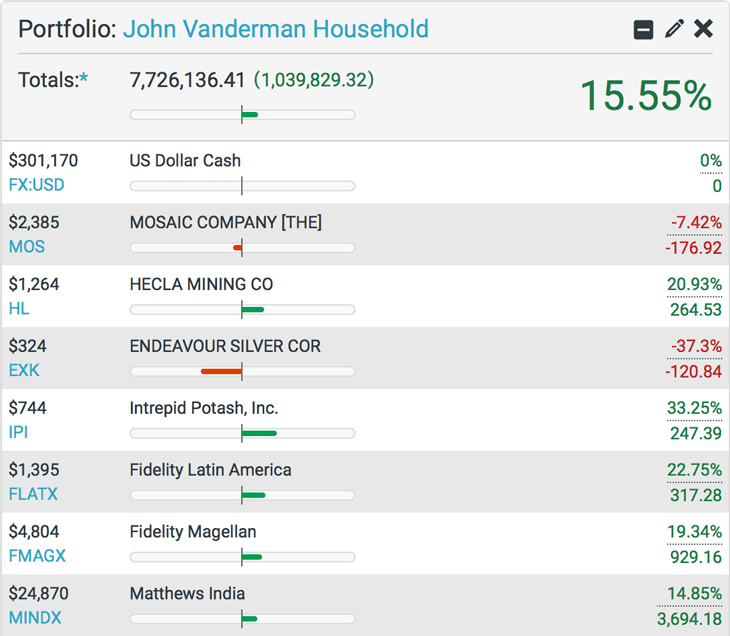 For Portfolio + Asset Managers Use HiddenLevers to stress test and perform comparative analytics on individual securities, portfolios, households, and models. The platform analyzes stocks, bonds, ETFs, mutual funds, annuities, SMAs, real estate, options, and currencies, and also enables the upload of return series to analyze virtually any private investment. Portfolio construction, portfolio optimization, and investment screening are powered by econometrics and factor exposure, and fund decomposition by sector / style / geography / asset allocation rounds out a comprehensive analytics platform. HiddenLevers uses big data to measure millions of relationships between the economy and investments. Interest rates affect home sales and oil prices, which impact the price of Home Depot stock. We uncover these links for 35,000+ investments. 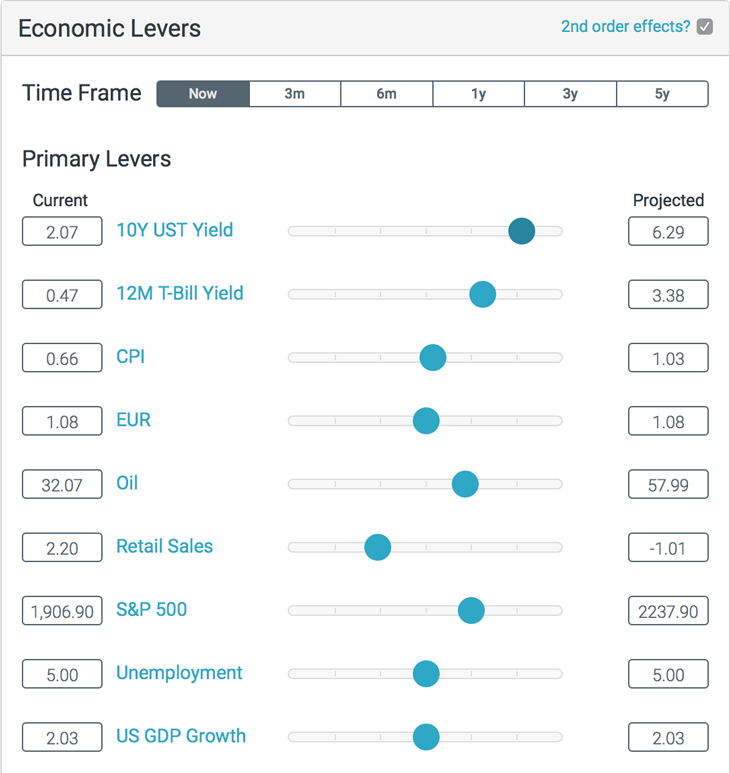 HiddenLevers' research team creates scenarios to model recessions, crises, and other economic events, using historical research and analysis on how economic indicators are correlated. In a stress test, investment performance is projected using the relationships measured in step 1, applied to the scenario assumptions in step 2. If a scenario forecasts oil to rise, and Exxon is correlated with oil, then Exxon will rise in that scenario. 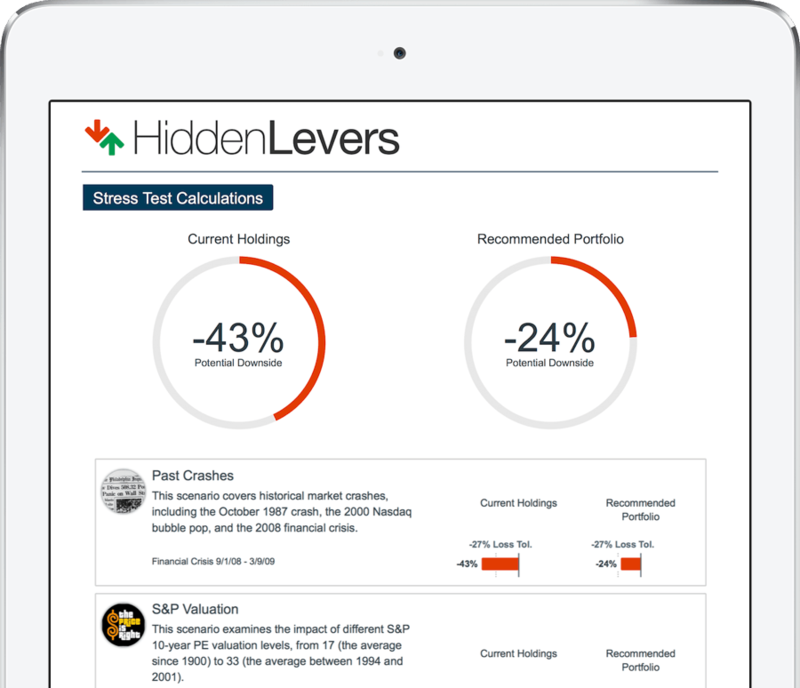 HiddenLevers is a risk technology platform, providing next-level applications, analytics and economic research for the wealth management space. With over $400 billion in assets on its platform, HiddenLevers offers client-facing and home office solutions aimed at executives, financial advisors, asset managers, and portfolio managers. The cloud-based platform includes a cutting-edge macro-scenario library, portfolio stress testing, model construction, investment proposal generation, and enterprise risk and revenue monitoring. HiddenLevers remains a self-funded company, headquartered in Atlanta, Georgia.